Kenan & Kel, we missed you. 90's Nickelodean legends Kenan and Kel have returned for a hilarious sketch on Jimmy Fallon’s ‘The Tonight Show’. 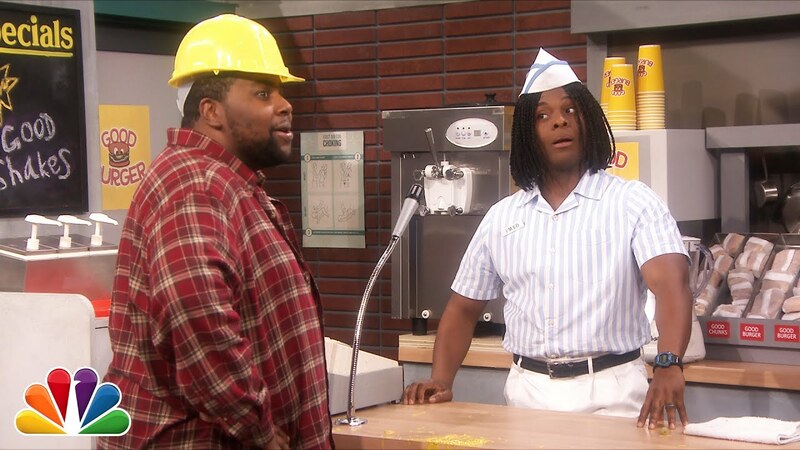 Recreating the famous ‘Good Burger’ sketch from ‘Kenan and Kel’, the hapless fast food workers get involved in a series of mishaps involving mustard and a ‘chicken rap’. All characters later return to sing the classic ‘I’m A Dude’ song from the 1997 Kenan and Kel movie ‘Good Burger’. The two stars also featured in a funny behind-the-scenes bonus segment where they switch characters and joke around. Since ending their iconic 'Kenan And Kel Show' in 2000, Kenan Thompson has been a cast member on NBC’s ‘Saturday Night Live’, while Kel Mitchell has appeared in ‘Pink Panther & Pals’ and ‘Motorcity’.